The annual OUG Ireland conference is on next week on Thursday 19th March. If you haven't already signed up for the conference this is only a few days left to do so. Click here to go to the registrations pages. Also don't forget to sign Maria Colgan's one day seminar on the Oracle 12c In-Memory Option. As always there is a very full agenda with 7 streams, 47 presentations and several keynote presentations. I'll be a draw for a copy of my book and I'll be giving away a few Oracle Press goodies too. Check out this blog post for the details and rules of the book draw. What Are They Thinking? 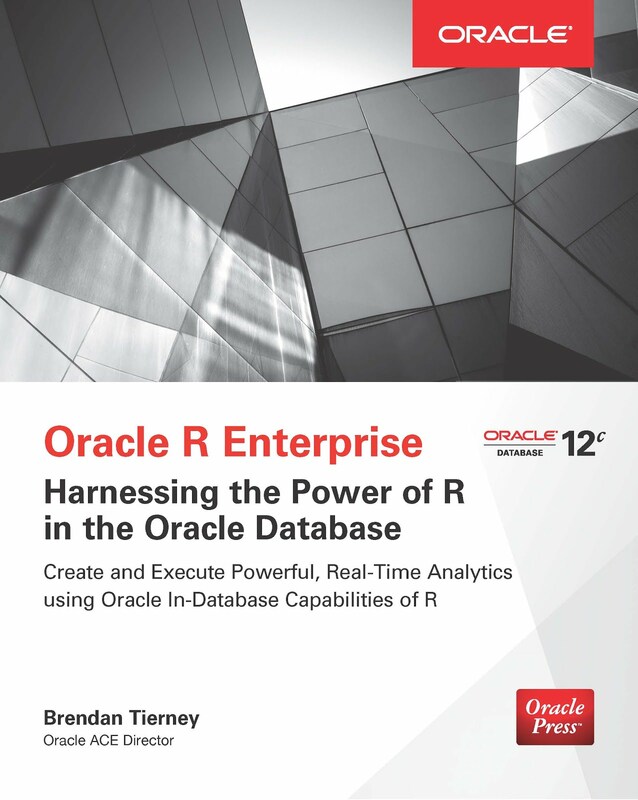 With Oracle Application Express & Oracle Data Mining. As you can see it is going to be a busy, busy day. I would love to attend lots of others, but being able to be in multiple places at the same time is not one of them. NOTE:The User Group has a rule that a presenter can have a max of 2 presentations. Unfortunately we had to break this rule a week out from the conference, due to some cancellations. And that is why I've ended with 2.5 presentations. The annual Oracle User Group in Ireland conference is on the 19th March in Croke Park. I'll be giving 2 presentations, with one each on the Development and Business Analytics tracks. Here are the details of these presentations. How will this book give away work? During both of my presentations I will pass around a "hat" for you to put your name or business card into. Then at end of my last presentation we will draw one name out of the hat. But you have to be in the room to collect the book. If you are not there then I will draw out another name (and so on) until the winner is in the room. So by attending both of my presentations you are doubling your chances of winning my book. Plus I might have a few other Oracle Press goodies to give away too. The annual Oracle User Group in Ireland Conference will be on Thursday 19th March. This year the conference will be held in the Croke Park conference centre. This conference centre is only a short taxi ride from Dublin Airport and Dublin City Centre. If you are planning a hotel stay for the conference I would recommend staying in a hotel in the city centre and get a taxi to/from the conference venue. We have a large number of Oracle ACEs presenting at the conference. The following table lists the ACEs, their twitter handle and their website. Make sure you check out the full agenda for the conference by clicking on the following image. Plus there is a full day session on Friday 20th March with Maria Colgan on the Oracle In-Memory option. The OTN Tour of Latin America has come to an end and I was very lucky to have been a part of Northern part of the tour. My OTN Tour consisted of visiting 3 countries in one week and giving 8 hours of presentations. This blog post looks back at the OUG Panama conference and I'll have separate blog posts for each of the other countries. My travels stared the Saturday before the OUG Panama conference which was on Monday 4th. My flights consisted of flying from Dublin to Newark and then onto Panama. All of that seemed to go smoothly until I reached Panama. After passing through emigration I was then in a very chaotic baggage hall. After about 1 hour of searching for my suit case I sought help from the airline. They were able to tell me that my suitcase was scanned off in Panama. So after another 30 minutes of searching for the suitcase with airline staff, there was still no sign of it. So a lost suitcase report was filed and off I went to meet the person who was collecting me from the airport. But there was no sign of them. I managed to find some wifi and sent a few messages looking for help and how could I get to my hotel. I got a quick reply and and 45 minutes later I was on my way to the airport. This is the 3rd time that this particular airline has "lost" my suitcase. I was very glad to reach the hotel but I had no change of cloths or toiletries with me :-( For all future travels that involve a flight change I will be packing some of these in my hand luggage. On the Sunday morning, after several hours trying to contact the airline, I finally got approval from them to buy some items. It was then time to meet up with Gurcan Orhan and we headed out to explore Panama city on foot (and to buy me some things). We spent about 3 hours walking around exploring Panama city where we say lots of differences in living standards right beside each other. Then it was back to the hotel as the local user group had arranged a tour for us. Our tour guide and one of the helpers for the user group was Melin took us to see the Panama canal, the old town and lots of other areas of Panama. We finished of the evening with a dinner in a traditional Panama restaurant. On getting back to the hotel my suitcase was there :-) but no communication from the airline about what happened. On the Monday morning I met up with Gorcan, Debra and Glen who were to be my travel companions for the week. There was a bus arranged to pick us up from the hotel and off we went to the conference venue which was in one of the Universities in Panama. We arrived at the venue very early and not many knew about the conference or where we should go. After a while we worked it and found the conference location. Many thanks to the User Group in Panama for inviting us and for all the arrangements. There was plenty of helpers on hand. My 3 sessions were not on until the afternoon so I hung out in a session by Gurcan and also one by Dan Morgan. Then a bit of hanging around with the conference people and talking about some Oracle tech stuff. For my 3 sessions I completely over ran on my first session and then for the last 2 sessions I was playing catchup. Especially for the last presentation as there was a bus booked to take us to the airport at 4pm. So I basically ran out of the presentation and straight into the bus to the airport. But before I did that I was able to give away the very first copy of my book. It wasn't released yet (it would be on the 8th Aug). I had a raffle for everyone who attended my sessions and here is a picture of me with the lucky winner. We arrived at the airport, with a minor detour via the hotel, with lots and lots of time to spare for our flight. Our next location was Costa Rica. 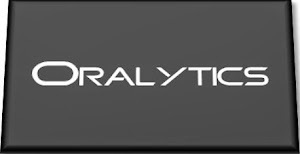 Over the past 16 months (or so) I have give a join presentation with Anthony Heljula called ‘Getting Real Business Value from Oracle Data Mining and OBIEE’, at a number of conferences and OUG SIGs. We have had a lot of very positive feedback on this presentation. The presentation is a busy 45 minutes (questions only at the end) that walks through a pilot data science project we did for a University in the UK. We used Oracle Data Miner to build a predictive model that looks at student churn. We then integrated this Student Churn model into OBIEE Dashboards to illustrate how combining an Oracle Data Miner model into our data analysis we can gain a greater insight of our data. If you are involved in presentation selection or know someone who is then maybe you might select this to be presented at OOW13 in September. We submitted the presentation for OOW12 with not luck. So fingers crossed this time. The agenda for the OUG Ireland 2013 event is now live. The event will be in the Dublin Convention Centre on the 12th March. There are lots of excellent sessions, across 7 tracks!! So there will be something (or lots of things) for everyone who works in the Oracle world here in Ireland. I’m sure the Oracle Database track will be very popular. I wonder why!!! Remember registration is FREE. You don’t have to be a member of the User Group to come to this event. It is open to everyone and did I mention that it is FREE. Registration is now open. The OUG Norway spring conference (17th April – 19th April) agenda is now live and is open for registrations. This is a 3 day conference. The first day (17th April) will be held in the Radisson BLU Scandinavia ( Holbergsplass ) and the next two (and a bit) days will be on the Color Magic boat that will be travelling between Oslo and Kiel in Germany and back to Oslo. The boat will be arriving back in Oslo on the Saturday morning (20th April). There will be some presentations in Norwegian, but it looks like most of the presentations will be in English. There will also be some well known names from the Oracle world presenting at this conference. In addition to these people, I will be giving two presentations on using Predictive Analytics in Oracle using the Oracle Data Miner tool and in-database functionality. 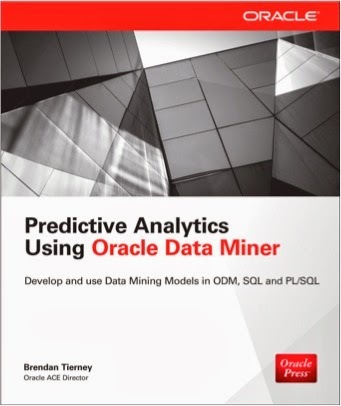 My first presentation will be an overview of the advanced analytics option and a demonstration of what you can do using the Oracle Data Miner tool (part of SQL Developer). This presentation is currently scheduled for Thursday (18th April) at 5pm. My second presentation will be at 9:30am on the Friday morning (19th April). In this presentation we will look at the in-database features, what can we do in SQL and PL/SQL, and we will look at what you need to do deploy you Oracle Data Mining models in a production environment. The BIWA Summit will be on the 9th and 10th January, 2013. It is being held in the Sofitel Hotel beside the Oracle HQ at Redwood Shores, just outside of San Francisco. The BIWA Summit looks to be leading event in 2013 focused on Analytics, Data Warehousing, Big Data and BI. 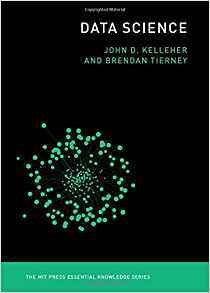 If you are a data architect or a data scientist this is certainly one event that you should consider attending in 2013. All the big names (in the Oracle world) will be there Tom Kyte, Mark Rittman, Maria Colgan, Balaji Yelmanchili, Vaishnavi Sashikanth, Charlie Berger, Mark Hornick, Karl Rexter, Tim and Dan Vlamis. Oh and then there is me. I’ll be giving a presentation on the Oracle Data Scientist. This will be on the first day of the event (9th) at 11:20am. 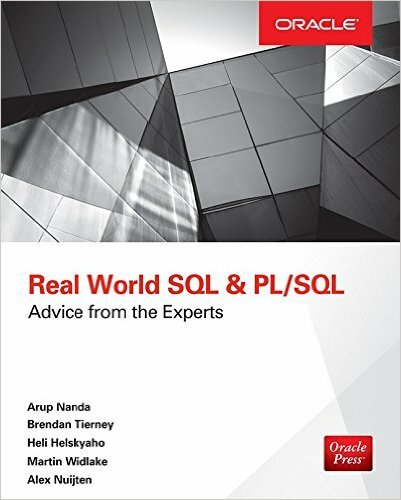 For anyone interest in the Oracle Data Scientist World there are lots of presentations to help you get start and up to speed in this area. Here is a list of presentations and hands on labs that I can recommend. As is typical with all good conferences there are many presentations on at the same time that I would like to attend. If only I could time travel. This is a great event to start off the new year and for everyone who is thinking of moving into or commencing a project in the area. So get asking you manager to see if there is any training budget left for 2012 or get first dibs on the training budget for 2013. Registration is open and at the moment the early bird discount still seems to be available. You can also book a room in the hotel using the registration page. The call for presentations at the OUG Ireland Conference is now open. The conference will be on Tuesday 12th March in Dublin city centre. It is hoped to have at a number of concurrent tracks covering all the main topic areas, including application development, database administration, business intelligence, applications, etc. The schedule of presentations for the 2012 Oracle User Group Ireland conference has just been released. This year the conference will be in the Dublin Convention Centre. There are 5 parallel streams with sessions running all day. Key notes presentations will be given by Eileen O’Mara from Oracle Ireland (given in the morning) and the key note at the end of the day will be given by Mogen Norgaard from Miracle AS in Denmark and founder of the OakTable Network. It is also FREE to attend. So go ahead an book yourself a place for a full day Oracle training. There are a few important web and social media links that might be of interest for all Oracle people in Ireland. Over the past few years the User Group SIGs have been a bit quiet here in Ireland. Except for the BI (&EPM) SIG, which has been getting a good attendance since it launched back in 2009. In particular the Oracle Technology SIG basically ceased to exist over the past 5 or 6 years, since the days when John Knox and Tagdh Cashman were running it. At the conference it is hoped that to get some people to volunteer to get this SIG back up and running again. Maybe we could get 3 SIG events each year. What do you think ? I’ll see you there on the 21st March. On Wednesday 7th Dec I gave my presentation at the UKOUG conference in Birmingham. The main topic of the presentation was on using the Oracle Data Miner PL/SQL API to implement a model in a production environment. There was a good turn out considering it was the afternoon of the last day of the conference. I asked the attendees about their experience of using the current and previous versions of the Oracle Data Mining tool. Only one of the attendees had used the pre 11g R2 version of the tool. From my discussions with the attendees, it looks like they would have preferred an introduction/overview type presentation of the new ODM tool. I had submitted a presentation on this, but sadly it was not accepted. Not enough people had voted for it. For for next year, I will submit an introduction/overview presentation again, but I need more people to vote for it. So watch out for the vote stage next June and vote of it. Today (Monday 5th Dec) is the first day of the UKOUG Conference in Birmingham. Tonight we have the Focus Pubs session starting at 8:45pm. This year we have a Ireland table for all of the Irish people at the conference to gather at and to meet. I’ll be there so drop along and say hello. There are a number of BIG Data and Analytics presentations at the UKOUG Conference in Birmingham (4th Dec – 7th Dec). The call for presentations for the annual Oracle User Group Ireland conference has been posted in last few days. The conference is planned for March 2012 and the venue will be picked over the next few weeks. I’m on organising committee this year. It is hoped to have a number of parallel streams covering core Database Technology, BI (&EPM), Development (including Fusion). The conference is not limited to presenters from Ireland and it is hoped to get a number of well known Oracle experts and Oracle ACEs to come to Dublin for the day. I’ve already submitted a presentation on Oracle Data Miner. There is a Twitter hash tag for the Oracle Conference #oug_ire2012. So add this to your Twitter tool to follow developments and announcements about the conference. If you have any question about the conference drop me a email. The UKOUG conference will be in a couple of weeks. I have my flights and hotel booked, and I’ve just finished selecting my agenda of presentations. I really enjoy this conference as it serves many purposes including, finding new directions Oracle is taking, new product features, some upskilling/training, confirming that the approaches that I have been using on projects are valid, getting lots of hints and tips, etc. One thing that I always try to do and I strongly everyone (in particular first timers) to do is to go to 1 session everyday that is on a topic or product that you know (nearly) nothing about. You might discover that you know more than you think or you may learn something new that can be feed into some project on your return or over the next 12 months. My agenda for the conference currently looks Very busy and in between these session, there is the exhibition hall, meetings with old and new friends, meetings with product/business unit managers, asking people to write articles for Oracle Scene, checking out possible presenters to come to Ireland for our conference in March 2012, etc. Then there is my presentation on the Wednesday afternoon. I know I have some overlapping sessions, but I will decide on the date which of these I will attend. As you an see I will be following the BI stream mainly, with a few sessions on the Database and Development streams too. This year there is a smart phone app help us organise our agenda, meetings, etc, The only downside is that the app does not import the agenda that I created on the website. So I have to do it again. Maybe for next year they will have an import agenda feature.